Find the most delightful sugarpaste recipes. Get answers to your questions (bottom of page) and receive excellent guidance from Lorelie. "Lorelie helped me get over my fear of working with sugarpaste, and here I am, starting my own dessert catering business! You may have questions about how to use, make and store sugarpaste. The answer you are looking for is most likely below. You can also use the search function on any page of this website to type in any term to find the information you are looking for. If after a search you still need help you may contact me. Keep in mind that I do have an excellent book that has step-by-steps for you on making a wedding cake from baking all the way to delivering your masterpiece. 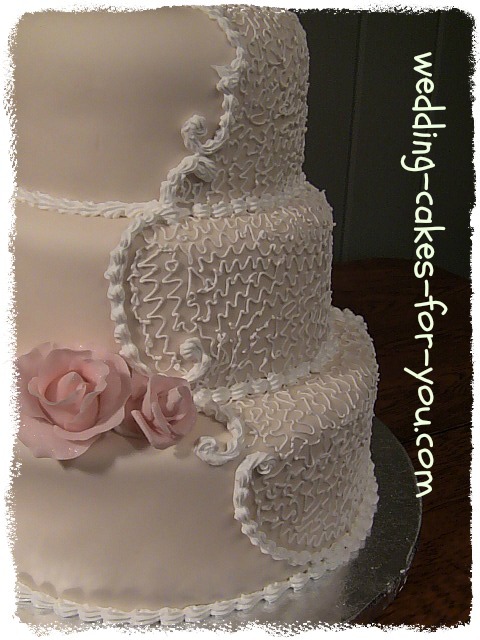 Coming soon is a fondant wedding cake book for you. 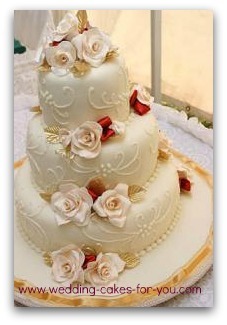 More information about the fondant wedding cake pages on this website. 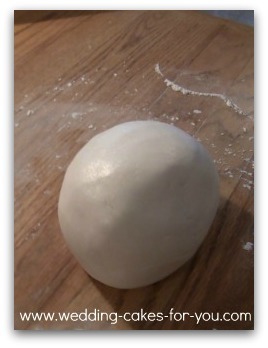 Fondant is not so difficult to make and work with. In fact it is one of the easiest ways to cover a cake and make it look instantly gorgeous. Follow the wedding cake icing recipe for homemade fondant on these pages including directions for classic, marshmallow and white chocolate fondant. Cake decorating with sugar paste, as it is sometimes called, is really fun. You can do so much when using this pliable frosting. You can even paint on the surface with food coloring and make all kinds of shapes to lay over the cakes and use for borders. Once you start working with this amazing edible adult version of playdough you will probably want to start making flowers. 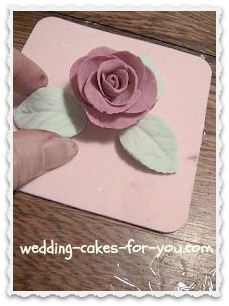 I will show you how to make roses. You will see that every decorator has his or her own style for making the rose. Some are incredibly detailed and look very realistic, others are loose interpretations. Mine are somewhere in between. 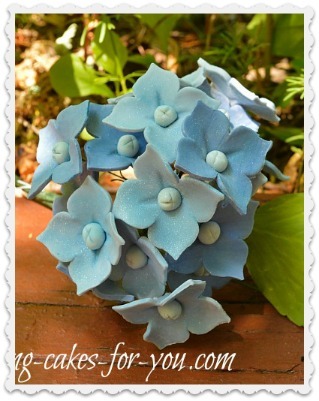 You will find your own style as you practice making sugar paste flowers. Flavors Don't limit yourself to just vanilla because sugar paste comes in a variety of flavors and colors. White chocolate and dark chocolate are two of the many flavors to choose from. Your guests can easily peel away the outer layer to get to the yummy buttercream and cake beneath the surface. Click below to see the questions that have already been asked and answered. If you would like to comment and add your suggestions please feel free to do so. Rolled fondant on carrot cake? Which fondant brand is best?